Ukrainian Premier League 2016/17. 4th round. August 12, 2016. Lviv. Arena Lviv. Att: 6,743. 14 oC. Shakhtar coach Paulo Fonseca made only one change in the line-up compared to the last game. Instead of Eduardo, the centre forward's position was assigned to Ievgen Seleznov. 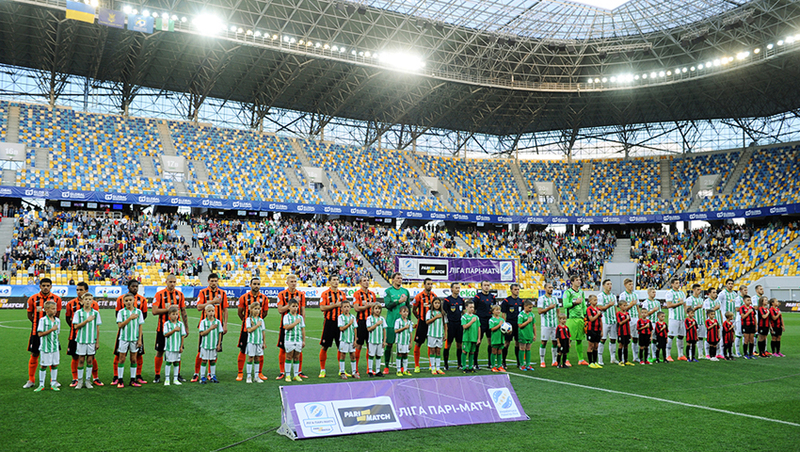 The game with Karpaty marked the 499th appearance of the Pitmen's captain Dario Srna in the Orange-and-Black jersey. The starting minutes of the match involved fairly high speeds and a lot of tackling. Neither side planned to give in, while the class of Shakhtar players forced the opponents to play rough. The scoring could have been opened in the 14th minute.Wellington Nem responded to a cross by Taison, but his close range shot went wide. Soon, Karpaty retorted with a dangerous attack and Andriy Pyatov was forced to demonstrate his reflexes twice. However, on 27 minutes, even he was powerless against a header by Gustavo Blanco Leschuk. A short while later Ambrose Chachua scored after a high cross by Ihor Khudobiak. The teams went on the half-time break with the score being 2-0 for the home team. In half-time, Paulo Fonseca fielded Marlos who substituted Wellington Nem. The Pitmen dominated the field from the starting minutes of the second half, ensuring territorial advantage, and on 47 minutes, Taras Stepanenko made up some ground with a powerful long shot. 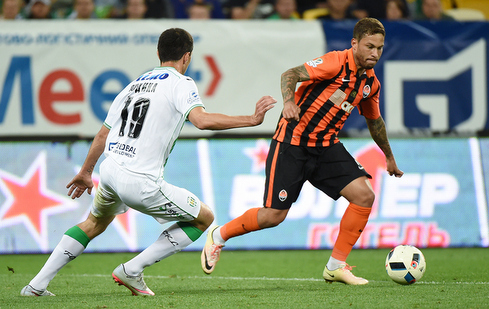 Shakhtar continued to pressure the opponents, with Marlos and Taison having had opportunities to score. On 65 minutes, Eduardo replaced Seleznov. And three minutes later, the Pitmen equalized. Viktor Kovalenko took care of his opponent on the line of the penalty area and shot right into the corner. The ball hit the post and went into the net of Karpaty - 2-2. The entire Lviv team moved to their half of the field, while the Pitmen only stepped up the pressure on the home team.Taison and Taras Stepanenko made dangerous attempts from a distance, and Ismaily came at the opponent's goal at a sharp angle, but each lacked a few inches to score a third goal. The decisive moment came in the 87th minute when, after a one-two by Taison and Marlos, the latter hit a superb shot into the corner. A great comeback by Shakhtar - 3-2. The Pitmen will hold their next match on August 18 in the playoff round of the Europa League against IstanbulBasaksehir. The game will take place in Istanbul with kick-off at 8:30 pm Kyiv time (EEC).